In fact, watching the elephants cross the Chobe River is a sight one cannot easily forget. 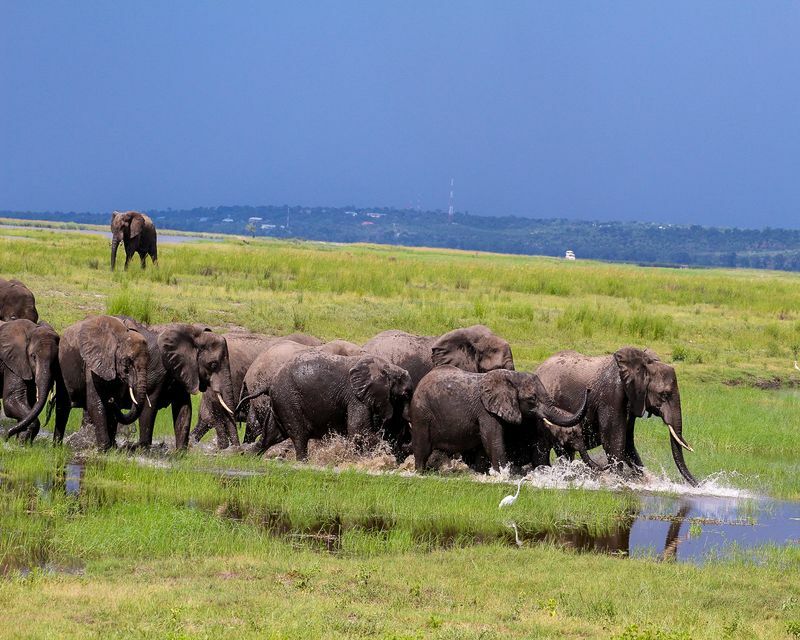 If you also have Chobe National Park on your bucket list, read on to find some useful information on how to get to the park, what to do, where to stay, and what animals you can spot in this charming corner of the world. Where is Chobe National Park? Located in northern Botswana, the park takes its name from the Chobe River, which forms the northern boundary of Chobe National Park and the border between Botswana and Namibia. The town of Kasane lies on the south of the Chobe River, bordering the national park. Chobe National Park sits near the borders with Zimbabwe, Zambia, and Namibia. Due to this location, a safari in the park can easily be combined with visiting the thundering Victoria Falls or the Okavango Delta. How to Get to Chobe National Park? Chobe National Park has several areas that can be visited but the most popular is the riverfront area, accessible through Chobe Gate, just 6km/3mi west of Kasane. Most visitors fly into Kasane Airport (BBK). Boat trips leave directly from here and head into the park. 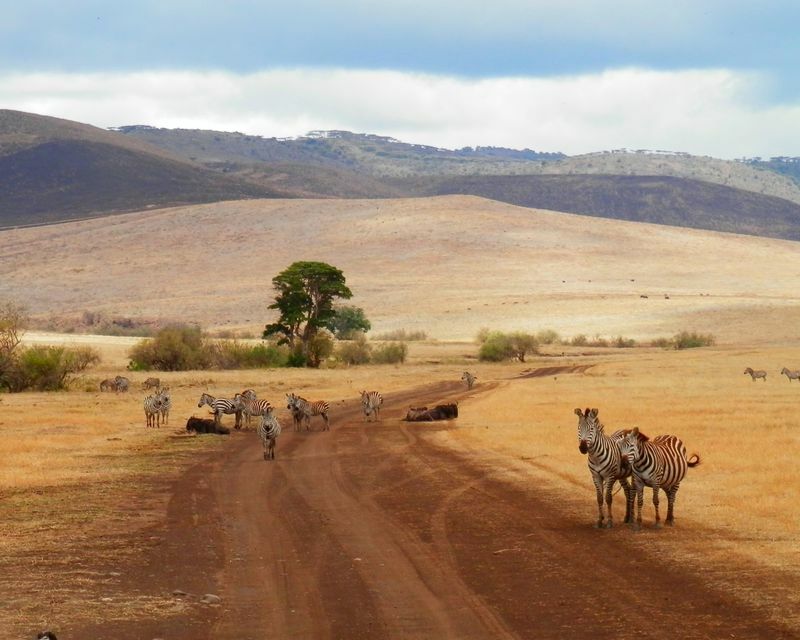 If you prefer to go on a self-drive safari, this is where you can pick up a 4x4 rental vehicle. Another choice is Maun Airport (MUB), from which domestic flights to Kasane are available. Driving can be quite daunting as the distance is 600km/370mi. If you combine a safari in Botswana with a visit to Victoria Falls, the best points of entry are Victoria Falls Airport (VFA) in Zimbabwe or Livingstone Airport (LVI) in Zambia. However, the transfer to/from the airport is most often included in the safari cost. Make sure to ask your safari operator where their pick-up point is so you can book your flights for the appropriate airport. There are several different gates to enter the park. The main entrance is Chobe Gate in the north-east of the park near the town of Kasane. Near the Namibian border, there’s Ngoma Gate. The southern entrance to the park is served by Mababe Gate which connects the park with the Moremi Game Reserve. The fees are subject to change. Please note that the park fees are likely included in the safari cost but do make sure to check with your safari operator. The park can be visited year-round. However, the park is seasonal and planning your safari in Chobe National Park depends on what you want to see and do. Most travelers come here to view the spectacle of the horde of elephants crossing the river. The riverfront area should be visited during the dry months, from April to October. The best weather is from May to August, although the best months for wildlife viewing are between August and October, when the weather gets hot (average temperatures 35°C/95°F). On the other hand, the wet months – November to March - are recommended if you wish to see the migration of some animals, specifically Burchell’s zebra. The original inhabitants of this area were the San bushmen, nomadic hunter-gatherers. To this day, there are San paintings inside the rocky hills in the park. The idea to create a national park to protect the wildlife and to promote tourism first appeared in 1931. The following year, 24,000 sq km / 9,300 sq mi around the Chobe district were officially declared non-hunting area. Two years later, the area was expanded. Due to heavy tsetse infestation, the project to create the park was delayed. But in 1953, it got government attention again. It wasn’t until 1960 that the Chobe Game Reserve was created. It was declared a national park in 1967. Chobe National Park is divided into four areas. Or Chobe riverfront is located in the northeast of the park. It features lush flood plains and woodland (mahogany and teak among other trees). During the dry season, the Chobe River is a major watering spot for large herds of elephants, families of giraffes, and Cape buffalos. It is located on the western side of the park and is a relic of a large inland lake. Now the marsh is fed by the Savuti Channel which dries up for periods and then flows again (a result of the tectonic activity in the area). This region is also covered in savannah and grassland. The wildlife that you can spot here differs by the season. During the dry season, rhinos, warthogs, wildebeests, kudus, impalas, zebras and elephants can be easily spotted. Lions and hyenas are also common, but cheetahs are quite rare. During the wet season, the bird life is at its best. It’s in the northwest corner of the park and to the north of Savuti. The area is formed of riverine woodlands, open woodlands, lagoons, and flood plains. 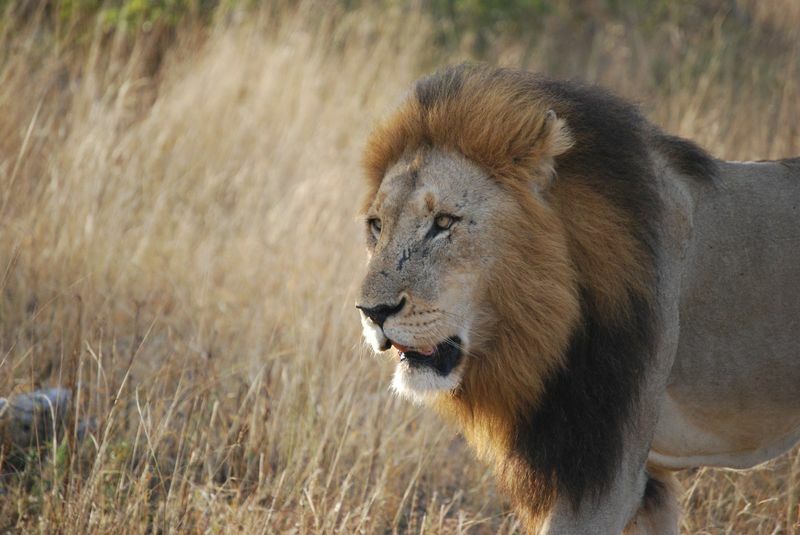 Here you can spot prides of lions, African leopards, antelopes, wild dog, hippo, and herds of elephants. The Nile crocodile and the rare red lechwe can also be spotted here. It’s located between Linyanti and Savuti Marshes and is hot and dry. This little-known section is best for spotting elands. 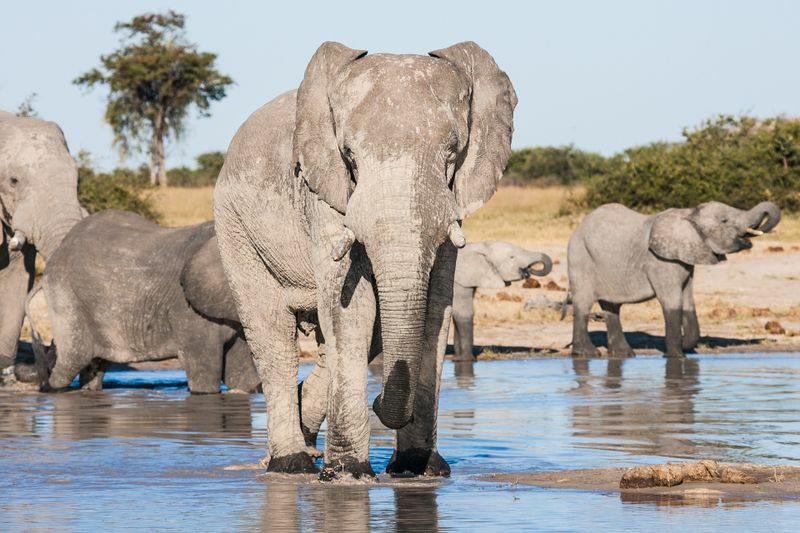 Chobe National Park is, without doubt, the best place to see elephants in Africa. Herds sometimes number hundreds of animals and there is an estimated total of 120,000 elephants in the park. Seeing them cross the Chobe River is a sight that you will always remember! There are also large herds of buffalos, often wandering around the outskirts of Kasane, unphased by the traffic and people. 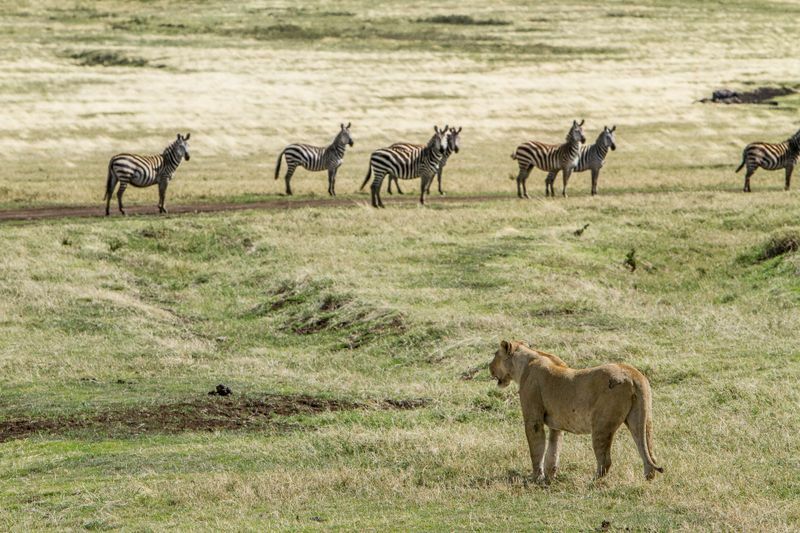 Zebras and giraffes are a common sight in the park as well. 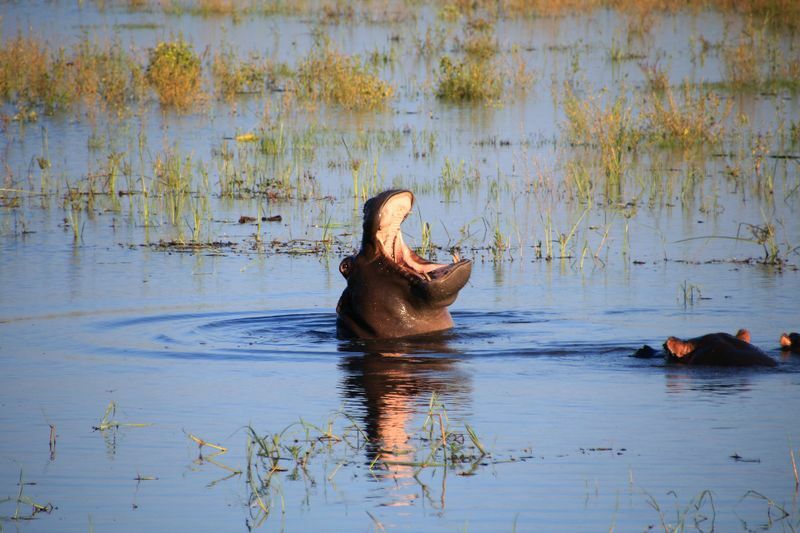 The river sustains an abundance of hippos and crocodiles, too. Lions and hyenas are common in the park and easy to spot. With some luck, you can also see leopards and cheetahs. 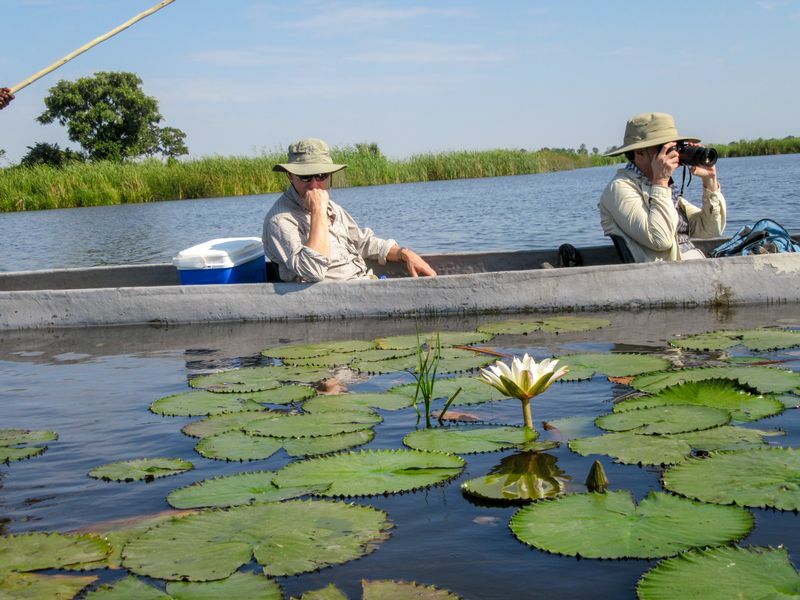 There are many ways to experience the beautiful nature and animals that Chobe National Park offers. Whether you choose to be in a vehicle, on your own two feet, or in the water, you won’t be disappointed. It probably goes without saying that game drives are an absolute must. This is the best way to see the predators, as well as the striking landscape. Jeep safaris are an excellent choice. Should you prefer to be in the water to take in the sights of the Chobe River, then mokoro safaris are exactly what you should look into. 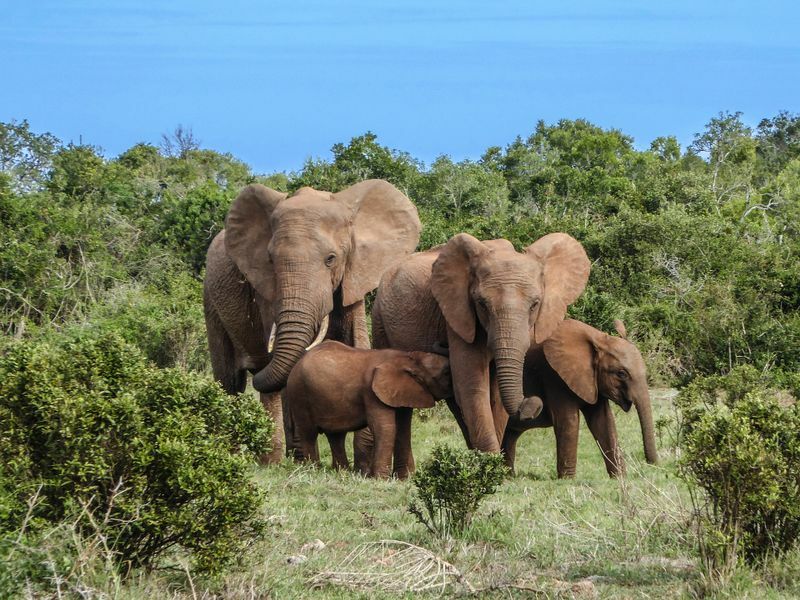 They are perfect if you love to take photos and see the large herds of elephants. 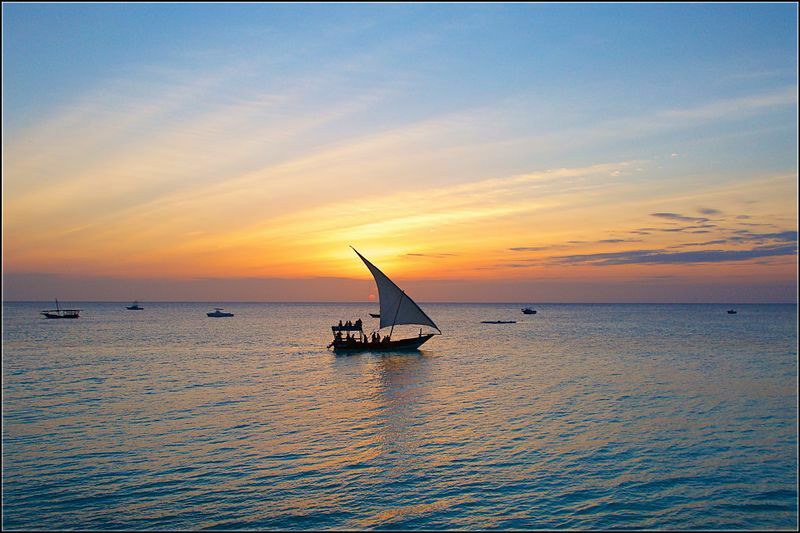 Plus, there’s always the chance to catch a magnificent sunset on the river! 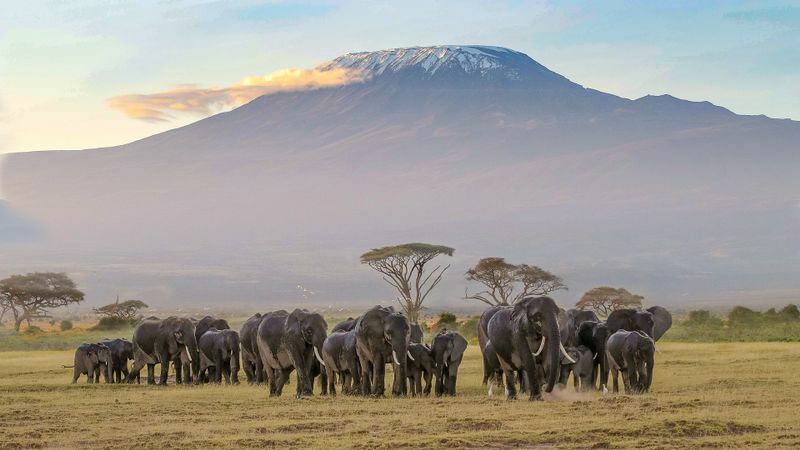 Should you prefer to get up close and personal with wildlife and nature, a walking safari is a great choice but do note that only a small number of lodges offer this activity. All visitors to Botswana require a valid passport with a minimum of 6 months validity to enter the country. European Union, the United Kingdom, United States, as well as most of the Commonwealth nationals, do not require a visa to enter Botswana and can stay here for up to 90 days. All other nationals that require a visa are advised to apply with time to spare. Documents such as bank statements, hotel bookings, itinerary, and flight schedules are required to be submitted with the visa application. Make sure to check the diplomatic mission’s website in your country for the latest information on visa requirements. If you have been to high-risk yellow-fever countries (such as Kenya, Uganda, Rwanda, Ghana), you need to provide a vaccination certificate upon entry. Generally, it is advisable to be vaccinated and get a valid certificate at least 10 days before traveling. There are ATMs in major towns and cards are accepted at the high-end hotels. However, lodges and safari operators prefer bank transfers. You can use your card to withdraw money from ATMs or directly from banks, but the fees may be prohibitive. Most camps and lodges will accept major currencies – US Dollars, British Pounds, Euros, South African Rands – as well as credit/debit cards (Visa and MasterCard). Packing for a safari is quite different than packing for any other leisure holiday. While seasoned outdoor travelers won’t have too many issues adapting their packing list, everyone else needs a bit of guidance. 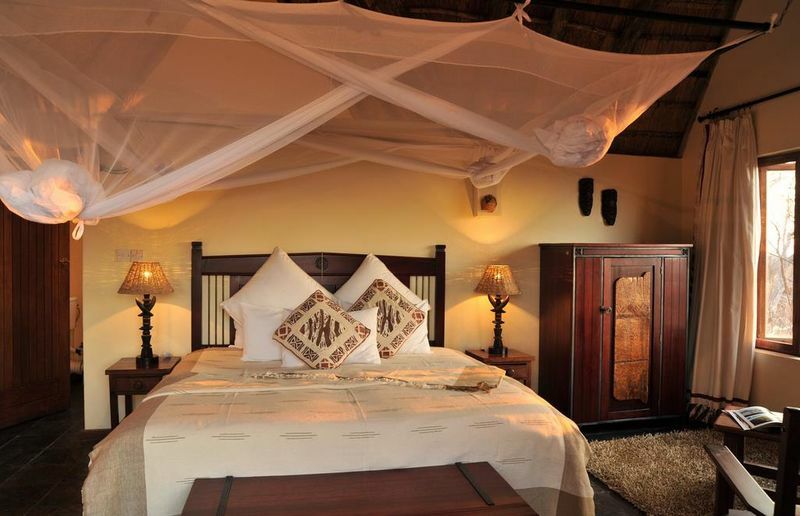 Where to stay in Chobe National Park? The park and the surrounding area offer a number of accommodations to suit all needs. From picturesque campsites with amenities to mobile bush camps and remote luxury lodges, all your safari dreams will be catered for. Most of the accommodation in the park can be found on the Chobe River bank which offers a unique chance to see the wildlife in and out of the water without even having to leave your veranda. However, most visitors to Chobe National Park choose to stay outside the park boundaries, in or around the charming town of Kasane. There are a variety of accommodation options here as well, from cheap riverside places to luxury and secluded lodges. 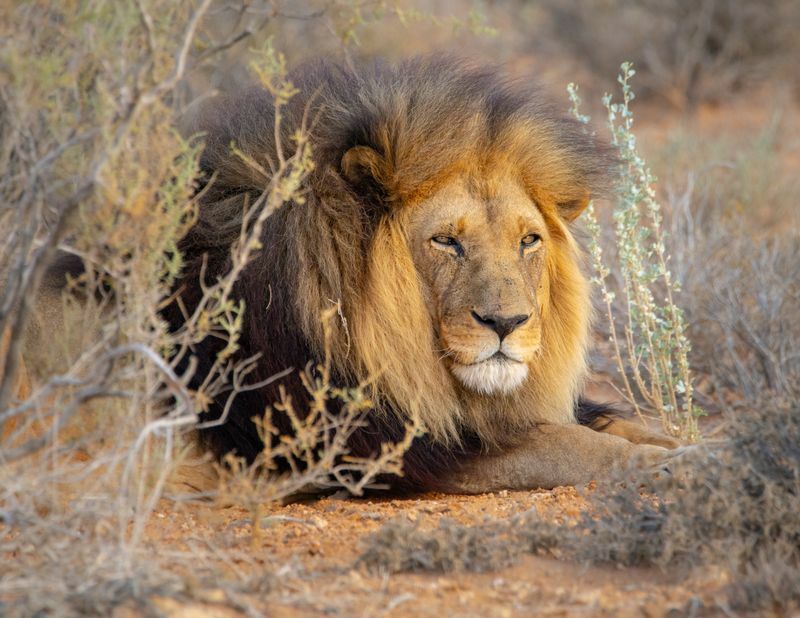 If you also want to explore the magnificent wildlife in Botswana and its neighbors, why not book a Botswana and South Africa Safari?